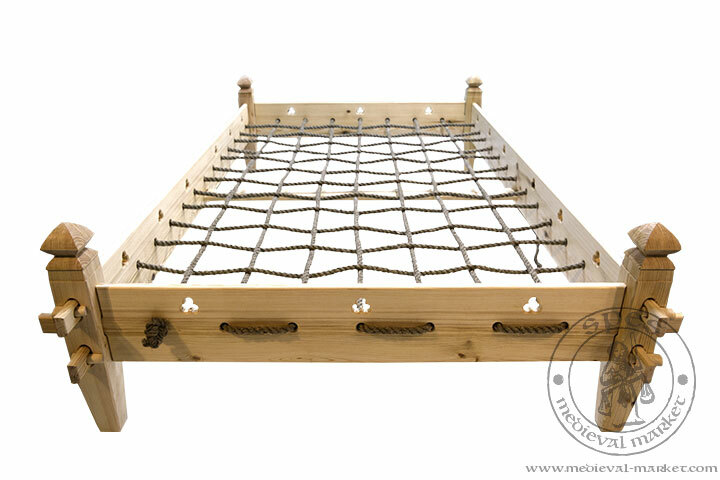 Rope bed. MEDIEVAL MARKET - SPES. Sleep, alongside meals and work is a very important element of everyday life of every human. It was no different during the Middle Ages. The basic role in furnishing the bedroom plays a comfortable bed. 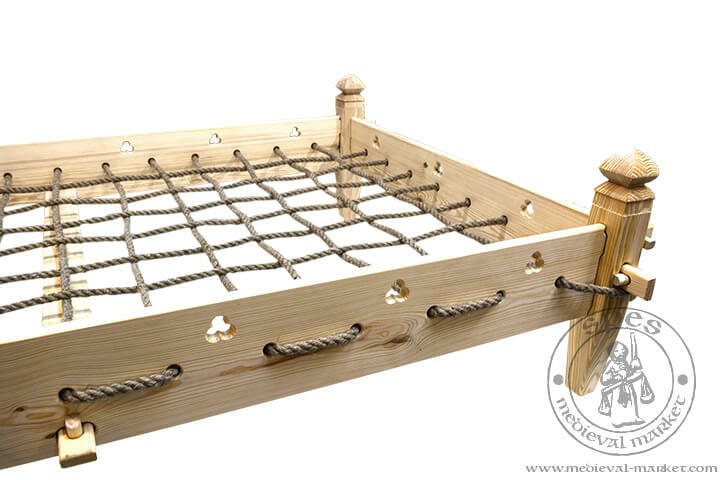 Among various types of medieval bedding there were rope beds. Due to elastic bindings and wooden crossbeam in the middle, which strengthens the construction, the straw mattress adapts the desired shape. 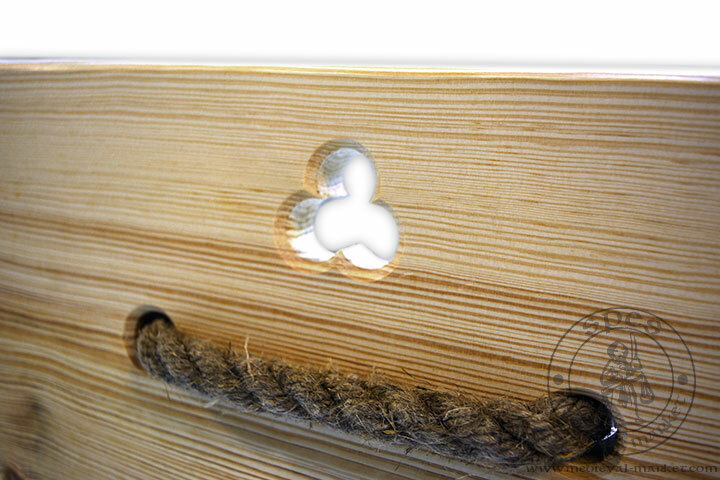 The bed has decoratively sculpted legs and ornamental three leaves clover – shaped holes in the frame. Same as other everyday equipment, bed was also a symbol of material and social status. 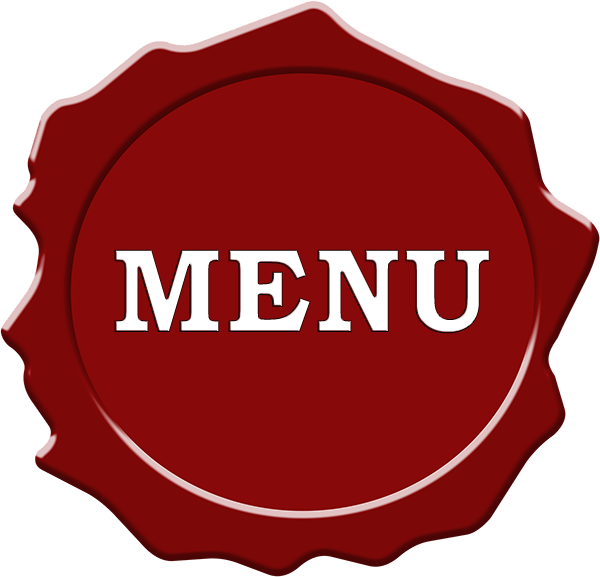 The more decorative elements both in furniture construction and items covering it (i.e. throws, blankets, pillows, etc.) the greater the owner's wealth. 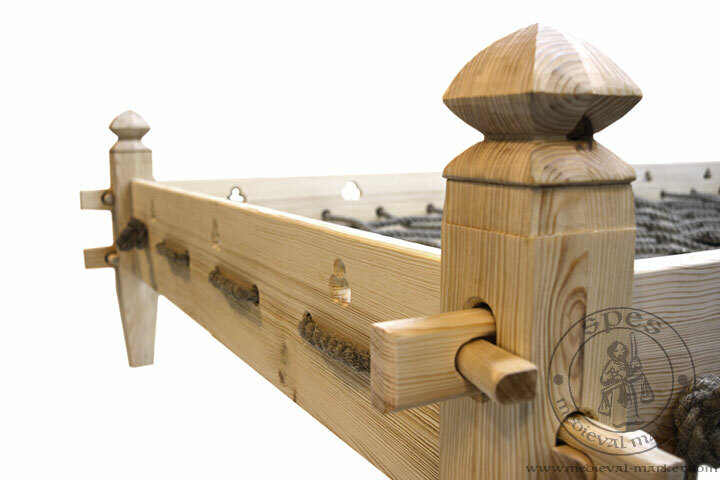 A bed for two people made of pine wood. Inside measurements: 200x120 cm. Outside measurements: ca. 225 x 135 x 54 cm. 8mm polypropylene rope, 35 meters.